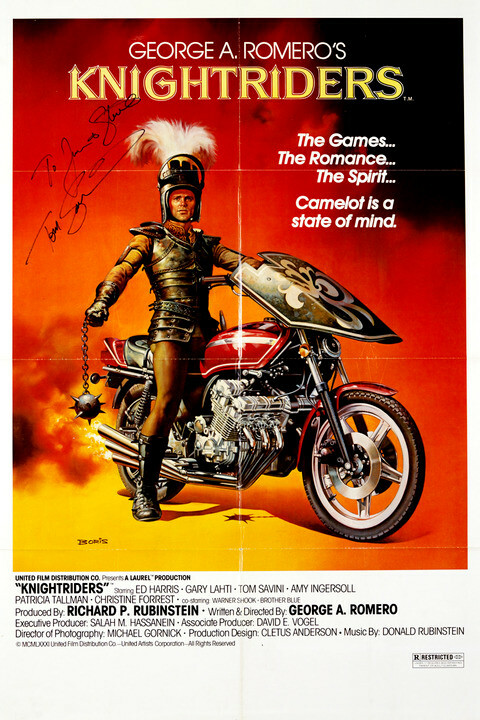 Knightriders, also known as George A. Romero's Knightriders, is a 1981 American drama film written and directed by George A. Romero and starring Ed Harris, Gary Lahti, Tom Savini, Amy Ingersoll, Patricia Tallman and Ken Foree. It was filmed entirely on location in the Pittsburgh metro area, with major scenes in suburban Fawn Township and Natrona. 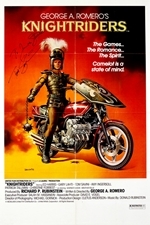 The film represents a change of pace for Romero, known primarily for his horror films; it is a personal drama about a travelling renaissance fair troupe.